Meditation / Intuitive & Psychic Development Education and Training. Nirup’s 28 years experience as a professional psychic bring insight and guidance, as well as self empowerment. Her seven years of study in India and further studies in USA and Canada, allows her to share techniques and tools with her clients. As well as educate and provide varies types of sessions. For your spiritual healing in Sedona visit Nirup. How do I develop my Intuition/Psychic Abilities? How can I clear Fears, Blocks & Beliefs? Call me now, I am here to help guide you and find answers. Thank you for taking the time to visit my site, as a psychic reader, spiritual and intuitive counselor I combine my 24 years of study and work in metaphysics, clairvoyant / psychic development and intuitive spiritual counseling to provide you the best possible reading. It has been said by many, my gentle and psychic way of seeing things is remarkable. I am recognized and appreciated by my clients for my healing and empathic way of working, and for my accuracy in my psychic and intuitive readings. I have a unique gift of being able to see into your energies on many levels, of the mental, emotional, spiritual and physical, to see things about you that you yourself are not aware of. This allows me to guide you on your life’s path in many positive ways, as well as releasing and letting of any old beliefs, fears, and patterns, using techniques I developed over the years to help you accomplish this in as little as one session. 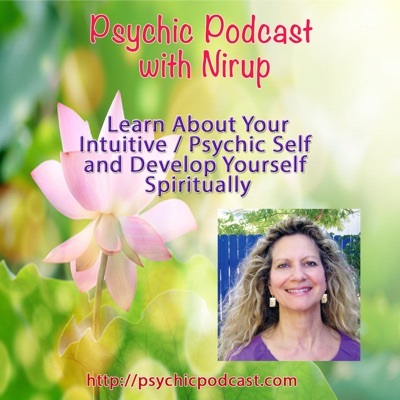 Nirup — an internationally known psychic, for the past 23 years has been bringing guidance and clarity to clients from all over the world. Nirup trained in India for 7 years in advanced spiritual schools and now offers Intuitive Readings, Soul Path Readings, Spiritual Counseling/Mentoring, Emotional Healing, Intuitive and Psychic Development and Past Life Regression. She also provides Seminars in Psychic, Spiritual Development and Meditation. call for a phone session at 928-300-8338.